President Nkurunziza calls on Burundians to contribute to the 2020 elections. Three years before this important appointment, the spokesman for the Ministry of the Interior speaks of a duty to safeguard national sovereignty. Obviously, Burundian authorities are ready for anything. They are determined to organize the 2020 elections without the “finicky” funding from Western partners. The call for contributions for fundraising has had the desired effect. On Monday, August 7, Pierre Nkurunziza, Head of state, went to the central bank, to make a BIF 5 million cash deposit. 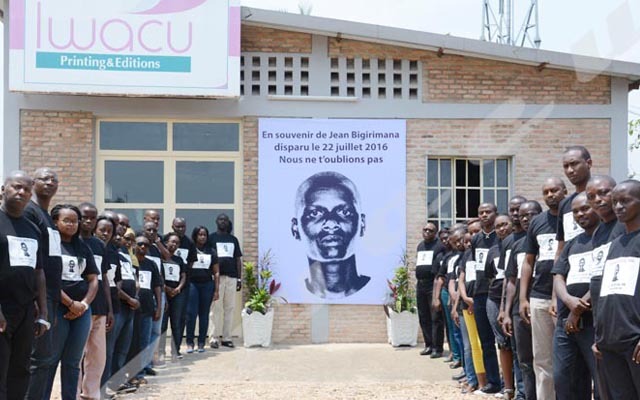 He took the opportunity to call the Burundian population to follow in his footsteps. For the Burundian president, a country deprived of institutions is subject to chaos. Depending upon the capacity of each one, Burundians can contribute from BIF10 up to BIF 100 million. “We want the fundraising account to be well stocked in 2020”. He says he and his family do not stop there. This is just the beginning. He plans to contribute up to four times. He said partners channeled financial assistance in support of demonstrators and “plotters of the 13 May 2015 coup. For him, the gesture of President Nkurunziza is part of safeguarding national sovereignty insofar as it contributes to the holding of elections. Mr. Ntahiraja says Burundians have been pleading for the opening of this bank account. “In fact, this is one of the requests from the inter-Burundian dialogue led by Bishop Justin Nzoyisaba.” In this regard, this spokesman says politicians expressed the same concern in the meetings of the Forum of political parties. He also cites the report of the National Independent Electoral Commission (CENI) which notably recommends the contribution of Burundians to the organization of the 2020 elections under acceptable conditions. He added that it has repeatedly been one of the recommendations of politicians’ workshops, including those held in Gitega province in October 2016 and last April as well as the one held in June in the capital Bujumbura. He also mentioned the Kayanza retreat which was organized by the office of the Ombudsman. This commissioner in charge of communication within the ruling party Cndd-fdd says the approach of the President of the Republic is an act of support for democracy and national sovereignty: “The party thanks all Burundians who have understood that their democratic destiny will not wait for the help from outside and have already contributed to this noble action. She encourages those who have not yet done so to join the movement. She concluded by urging all the Bagumyabanga (militants of Cndd-Fdd) to follow the example of the President of the Council of the Sages and serve as an example to others in the accomplishment of this citizenship gesture. The president of Uprona party welcomes the initiative of President Nkurunziza. Mr Gashatsi recalled that some donors who were supposed to finance the 2015 elections withdrew at the very last minute. It is also a good reason to call for contributions in order to avoid any unfortunate eventuality. Furthermore, as it is not compulsory, everyone will contribute in accordance with their means. This is for the sole purpose of holding peaceful elections in 2020. For this activist of the Civil Society, this is a good example from the Head of State. “True to himself, he always walks the talk.” The gesture is a way of encouraging all the authorities of the country to do the same.